How do you position a non-profit organization as a leader in their cause without moving focus away from children, education and early intervention and creating more brand confusion? Create a long-term marketing plan with a defined vision, brand goals, strategy, technology, and tools. We needed to help Easter Seals North Georgia clearly define their brand. We needed to position Easter Seals as leaders in early childhood intervention and education while accomplishing their marketing initiatives. First, we defined their goals and helped them understand why each one was important. We then created a shared vision guide to marketing that all employees could follow and apply to their work. With that, we developed a marketing plan and plan of action that incorporated all their concerns and initiatives. We recently proposed this marketing plan for Easter Seals North Georgia, who is currently in the process of putting the plan into action. 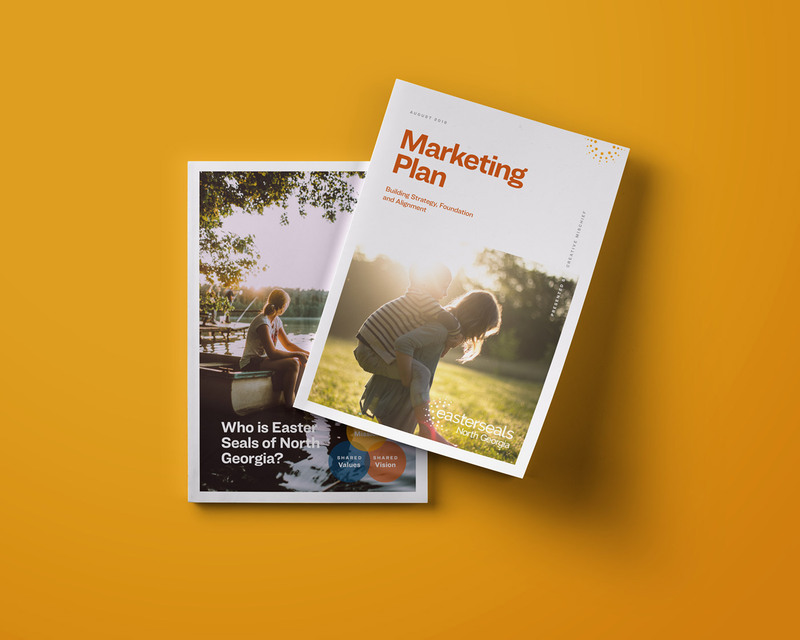 More importantly, we created a plan that Easter Seals North Georgia can use to define their brand and effectively deliver their services.